FORT A.P. HILL, Va. — As thousands of Boy Scouts feverishly trade patches under a night sky, an angry throng emerges from the darkness, their faces illuminated by a flaming swatch. "Burn it! Burn it! Burn Yoda!" they chant, as the patch featuring the "Star Wars" character goes up in smoke. The boys have staged the protest to show their pique over the fact that other Scouts have been commanding more than a dozen less popular patches in exchange for Yoda. 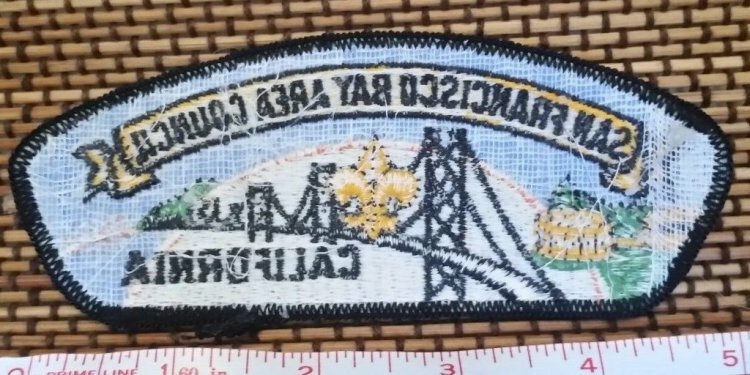 Controversy over this patch highlights what some of the 30, 000 Scouts gathered at the quadrennial National Jamboree recently cite as an alarming trend: Patch-trading is becoming a ruthless business fueled by an intense desire to return home with the coolest, most colorful collections. "It's become totally crazy, " said Scout Tim Walters, 14, of Arlington, Va. "My dad told me that when he was a Scout, patch-trading was just a way to meet new people and take home some nice patches, trading one patch for one patch. Now it's out of control. It's, 'Get as many patches as you can.' "
How cutthroat is it? Scouts are devaluing patches by spreading rumors that massive shipments of certain ones have arrived and are easily obtainable. They're claiming that common patches are rare misprints, and concocting tales about strenuous feats they performed to earn them. And, yes, reports of patch theft abound. Then there's this: Military police at this Army facility are investigating a report that a "young adult" dressed as an Army officer confiscated popular patches, saying they violate copyright laws. An Army spokeswoman says investigators believe the culprit was an impostor with his own design on the coveted cloths. Patches are traded a lot like baseball cards, with values determined by supply and demand. Their popularity usually has to do with designs-this year's favorites feature a skiing cow, Cap'n Crunch and Yosemite Sam. Most of the patches don't wind up on Scout uniforms but remain stashed in a box until trading time. Scout councils and some troops make their own patches, which they give away or sell. Typically, the patches feature designs that relate to something in the Scouts' region. Marin County, Calif., made Yoda patches because the county is the home of "Star Wars" creator George Lucas' Lucasfilm Ltd. Scout officials said patch-trading teaches important lessons about business and economics, and gives Scouts from different parts of the country an excuse to talk to one another. "When you do it right, it's lots of fun; patch-trading builds great social skills and geography skills, " said Jerry Jackson, a Woodbridge, Va., Scout official who helped oversee the 430 boys at the Jamboree from the Washington area. In early jamborees, boys traded souvenirs from their home states, including wood carvings and live horned toads, which Scout officials said were popular at the 1937 Jamboree. That evolved into patches that gradually included more sophisticated designs. With the elaborate patches has come crafty salesmanship that many of the Washington area scouts were warned about in a two-page list of guidelines. "The most sinister and mercenary patch-traders-the ones out to take you for all you're worth-are likely to be the older Scouts, " the guidelines cautioned. "You should be really careful out there." The Yoda controversy erupted with the heavily disproportionate patch trades, evoking offers to sell Yodas for as much as $70. A cadre of Scouts managed to knock the bottom out of the Yoda market by protesting and spreading rumors that thousands of new Yoda patches had flooded the market. Trading at the Jamboree went on all day. But at night the dealing was so intense that it looked like a cross between the New York Stock Exchange and a used-car lot.